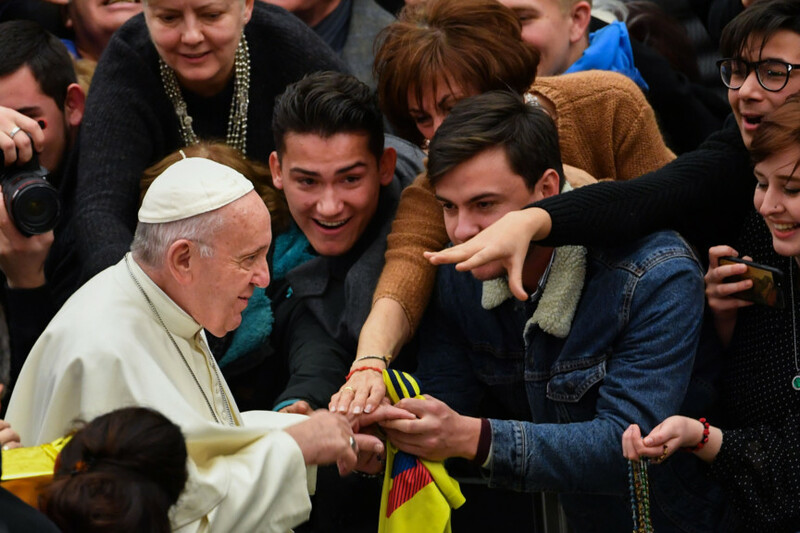 Dubai: Pope Francis is a monk who walks in the footsteps of Saint Francis of Assisi – one of the most famous deacons of the Catholic Church known for his love of poverty, animals and devotion to Christ’s path. There’s an ancient Franciscan prayer attributed to the saint, which embodies the pontiff’s core philosophy. This was the first Ramadan after Pope Francis was elected in March 2013. In a speech at St Peter’s Square, marking the end of the month of fasting, he had said: “I want to send a hello to Muslims around the world, our brothers, who a short time ago celebrated the conclusion of the month of Ramadan. I hope that Christians and Muslims engage to promote mutual respect, especially through the education of new generations.” And he has been consistent in this message ever since, with his visit to the UAE marking the next step in that papal prayer for global peace. 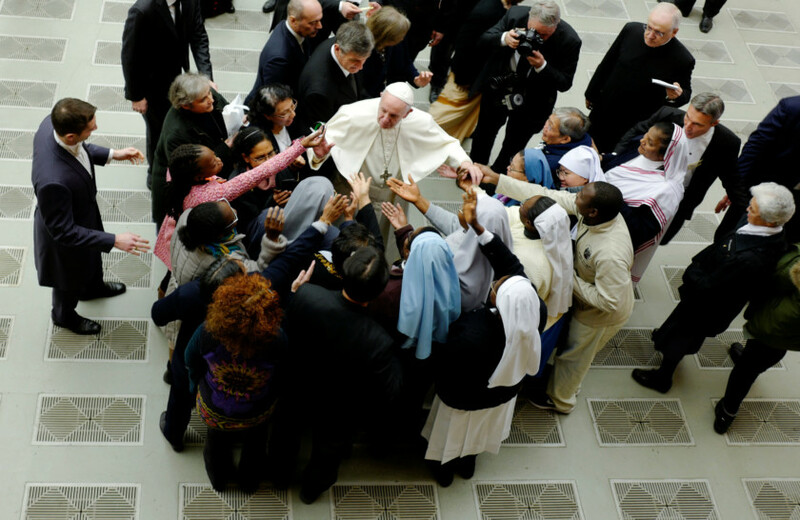 In March 2013, Pope Francis made papal history. He washed the feet of a woman for Easter. He washed the feet of two women and 10 men at a juvenile detention center in Rome to mark Holy Thursday, which is a ritual that commemorates Christ’s humility in bathing his 12 disciples’ feet on the eve of his crucifixion. The Public Radio International or pri.com reported that it is a fixture of the Holy Week calendar – but never before had a pope extended it to women, as all of Christ’s disciples were apparently men. 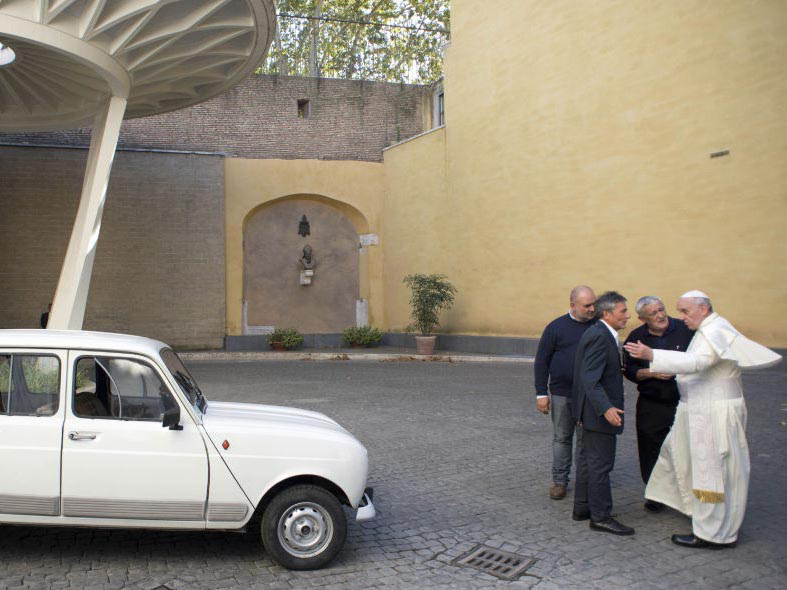 The website added that Jorge Mario Bergoglio or Pope Francis used to do the same as a cardinal in Argentina, he took the ritual to the jails and hospitals of Buenos Aires, and often included women. However, for him to do the same as pope, was unprecedented. And he continues the tradition. This shook the world. 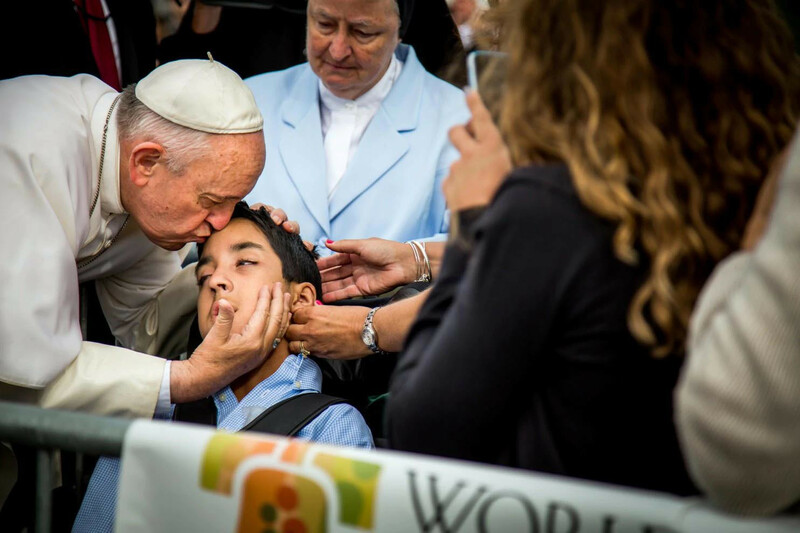 Pope Francis’s embrace of a man with severe facial disfigurement in November 2013, in St Peter’s Square, echoed the healing of the sick by Saint Francis of Assisi. 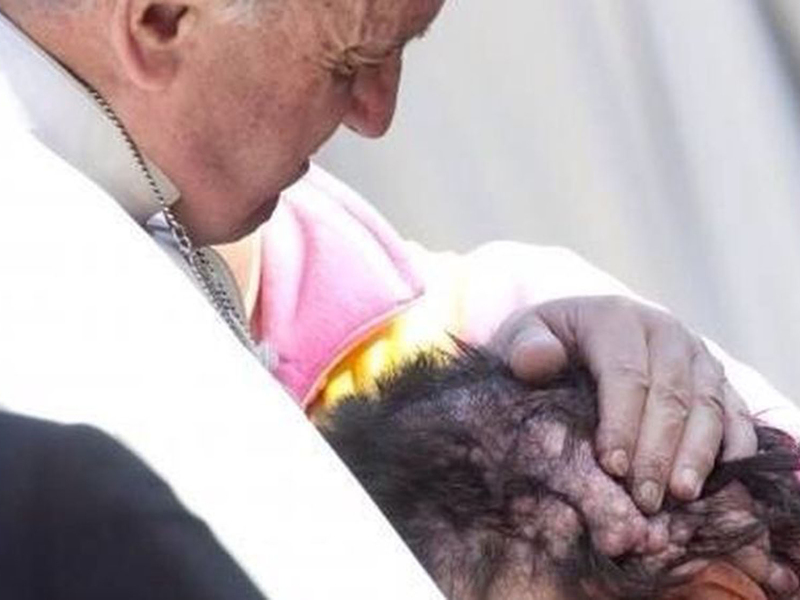 The Catholic News Agency reported that the Italian man was identified as suffering from neurofibromatosis, which causes great pain and can result in paralysis, impaired vision, deafness, mental retardation, migraines and even cancer. Treatment of the condition is very complicated. People with this disease – which is genetic and not contagious – often face extreme discrimination because of their appearance. The pontiff walked towards the man, paused, took the man in his arms, prayed over him and kissed his face. 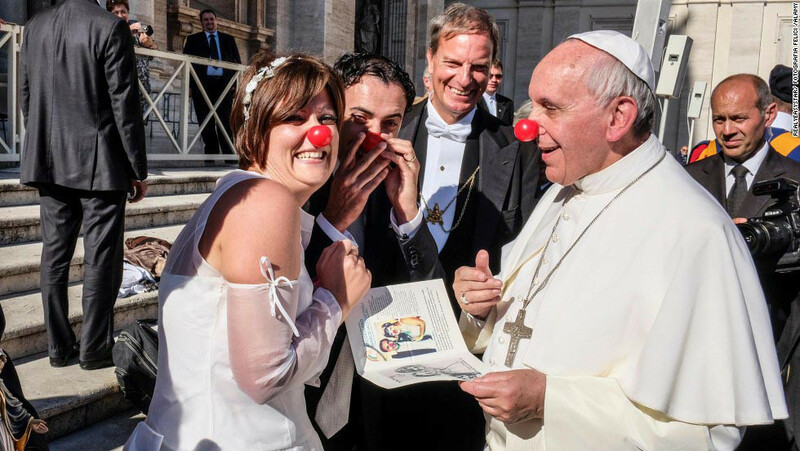 ABC News reported in November 2013 on how Pope Francis joked around with a newlywed couple: “The leader of the world’s 1.2 billion Catholics donned a bright red nose and played a clown with a newlywed couple inside the Vatican …. The Argentine-born pontiff posed with the bride and groom, who are volunteers at a charity that brings clown therapy to sick children. The Washington Post reported this in 2015. Pope Francis was visiting Pennsylvania and there was a school band on the Philadelphia International Airport tarmac to welcome him. Its band leader was 45-year-old Chuck Keating. A proud moment for his family and him. They initially decided to take their older 13-year-old daughter Katie and 10-year-old son Chris, but his twin brother Michael was out of the question. The boy had suffered severe injury at birth and hence was suffering from cerebral palsy. His body overheats outside and he has to be catheterized every four hours. However, eventually they decided to take him, it was a risk. And they got their miracle. 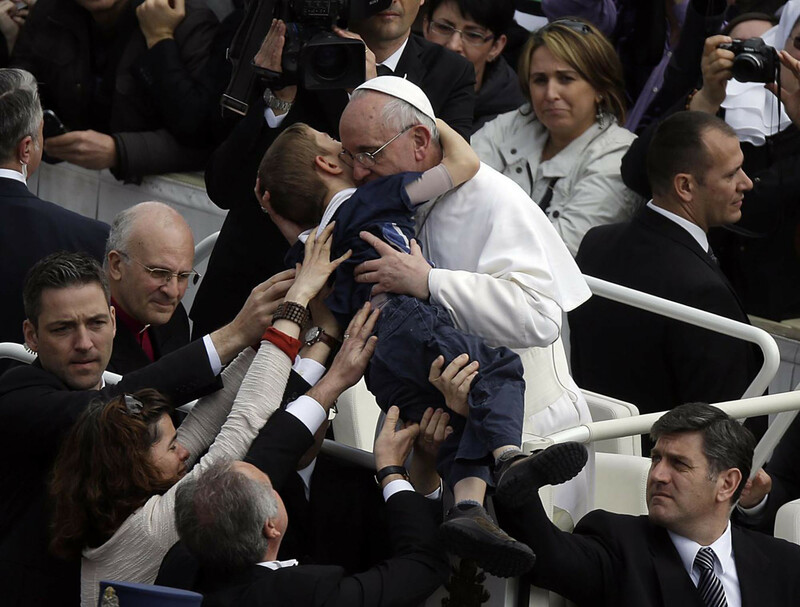 As the Pope’s car moved on the tarmac, he sighted the young boy in the crowd, stopped, got out and blessed the child. The family could not hold back their tears, as the world watched choked with emotion. Pope Francis has always spoken about how the Church has to be “for the poor”, something that Saint Francis always stressed upon. He often spoke about the enchantment of ‘Lady Poverty” a “maiden far fairer” than any other. He happily accepted it, instead of the numerous fancy cars at the disposal of a papacy.